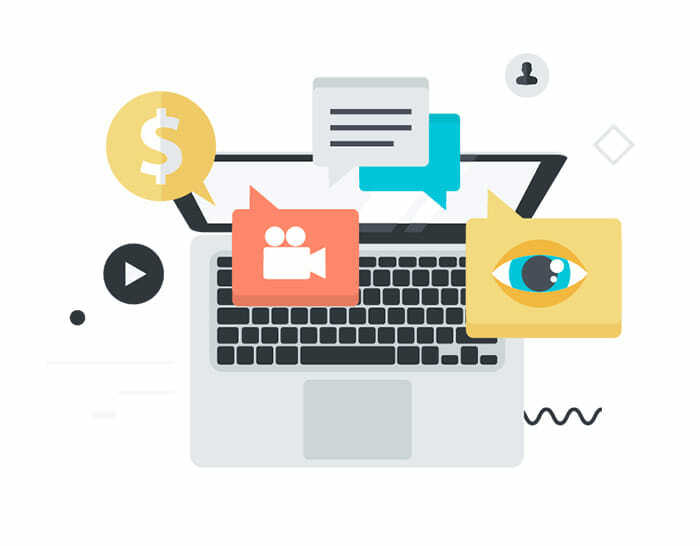 In 2005, GMO-Z.com RUNSYSTEM Company, which formerly was RUNSYSTEM Company, was established an Information Technology Company (IT) by three founders, firstly located at D20, Lot 12 Dinh Cong, Hoang Mai, Hanoi. Our first slogan was “Global Software Quality”. Back then, the main our activity was outsourcing for Japanese market. Our first project with the value of 300 million VN was implemented by three staffs in 3 months in .NET language for Japanese customers. On August 6, 2007, a branch was established in Tokyo, which was an important step that launched the name of GMO-Z.com RUNSYSTEM Corporation far beyond the territory of Vietnam. As a representative of GMO-Z.com RUNSYSTEM in Japan in charge of customer relations activities for nearly a decade, Tokyo branch has not only accomplished its mission in an excellent manner, but also grown in breadth and depth in the field of Information Technology. With over 50 employees at present, the Tokyo branch has itself a separated marketing department, dedicating to promote GMO-Z.com RUNSYSTEM products towards Japanese partners by showing them the quality of products and services and reinforce the growing belief in customers as well. Besides, each member at Tokyo branch will directly participate the projects as a BrSE or PM to assure the schedule of the projects. 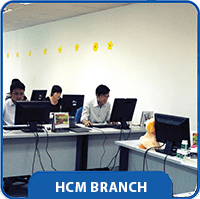 Ho Chi Minh Branch was established on March 14, 2008 with a total of 5 employees. Although the branch has been facing many challenges and fierce competition in Ho Chi Minh city – the most dynamic market in Vietnam, especially during the heavy crisis in 2009, it has been constantly increasing in volume of projects and quality of products. Currently, the branch has moved to Unit 702-703, 7th Floor, Ha Do Airport Building, 02 Hong Ha Street, Ward 2, Tan Binh Dist., Ho Chi Minh City. It has been equipped with modern facilities and infrastructure with the number of staffs reaching nearly 100 people, including Japanese expert that are in charge of the iOS, Android, web and other business applications. In 2011, our company officially joined GMO Internet Group – No.1 Internet Corporation in Japan. The Group has 89 member companies with more than 5000 employees in 17 countries in the world including Japan, USA and Asian countries. The merger is a clear demonstration of the development in width and depth of GMO-Z.com RUNSYSTEM. GMO-Z.com RUNSYSTEM is confident enough to become a reliable partner, providing customers with the best quality service worldwide, with the slogan “Global software quality”. Da Nang Branch is the third branch of GMO-Z.com RUNSYSTEM, followed Tokyo and Ho Chi Minh City branches under GMO-Z.com RUNSYSTEM Corporation. Da Nang Branch, located right in the center of the city – Sapphire Plaza 6th Floor, 203 Ong Ich Khiem St. – Hai Chau Dist. – Da Nang was officially established on September 3, 2012. The branch is currently focusing on offshore web systems, HTML coding and expanding the Android section. It also promotes the business of domain name hosting, VPS, email server and website design. With the launch of a new branch in an important industrial city in the central key economic region of Vietnam, GMO-Z.com RUNSYSTEM continues to increase its competitiveness in the offshore sector. The expansion of domain services and hosting is now affirming the leading position of GMO-Z.com RUNSYSTEM in the market. In 2012, GMO-Z.com RUNSYSTEM was honorably certified to get ISO9001 and CMMI3 certification, which is a clear proof for the guarantee and improvement of information management system of the Company to bring the best quality products for customers. By 2014, GMO-Z.com RUNSYSTEM was certified ISO 21001: 2005 by DAS based on completing and meeting the stringent security standards of information security system. This certificate is undergoing re-certificating and auditing annually to ensure that security standards are strictly enforced at the enterprise. ISO 27001 is the UK standard for information security management system (ISMS). ISMS must manage all aspects of information security including people, processes and IT systems. The key to having a successful ISMS is based on feedback assessments to provide continuous improvement, and take a structured approach to asset management and risk management. Achieving this certification means that GMO-Z.com RUNSYSTEM is committed to ensuring that the information and data of all customers and the company are securely and systematically managed in accordance with international standards. ISO 27001: 20005 certification help us to demonstrate our strong commitment to customer about our service and gain the trust from customers/partners. 2016 is the year marking many major changes of GMO-Z.com RUNSYSTEM. Following the globalization strategy of Z.com brand of GMO Internet Corporation, GMO RUNSYSTEM has changed its name to GMO-Z. com RUNSYSTEM. This is also the year marking many of the company’s rapid development with the first time to reach TOP 50 leading IT Companies in Vietnam. In addition, becoming a main sponsor for Vietnam National Football Team is a clear demonstration for its effort for community development and corporate social responsibility. In 2016, GMO-Z.com RUNSYSTEM also received ISO 27001: 2013 certification. Owning this certificate affirms our strong service quality for customers and builds trust towards customers and partners.